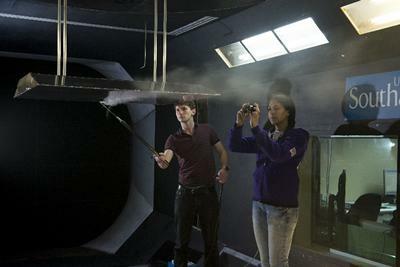 Dr Michael Patrick Byfield is Lecturer within Engineering and Physical Sciences at the University of Southampton. My research background is in the experimental testing and analysis of steel and reinforced concrete structures and I welcome enquiries from students who have funding for PhD research in either of these areas. I took up my first lectureship at Cranfield University in 1997, before moving to Southampton University in 2003. 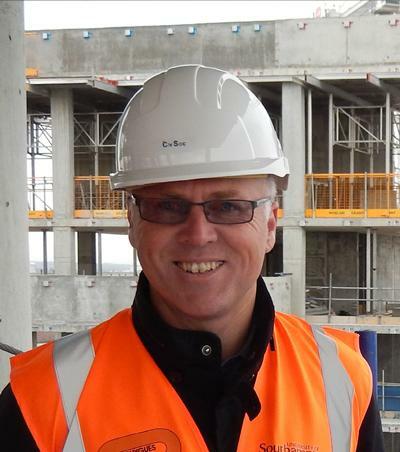 In 2004 I won the Institution of Civil Engineers Parkman Medal and was shortly afterwards elected to the EPSRC College, which awards research grants worth over £390M annually. Most steel framed buildings take advantage of the composite action between the steel beams and slabs. My research helped develop composite beam to column connections for use in design, see the experimental testing conducted in Fig. 1. Steel sheet piles suffer from loss of strength due to inter-pile movements. My research defined loss factors which are used by designers during design. Most designers of steel framed buildings utilise the tying force method to comply with the disproportionate collapse building regulations. My research was the first to show that the tying force method does not work when used with industry standard beam to column connections, see Fig. 2. The probability of structural failure is dependent on the design complexity. My research helped to understand the reliability issues related to design using Eurocode 3. My research was the first to use the component-method for modelling buildings subjected to extreme loading from column loss or blast. This work is ongoing and is aimed at developing beam-to-column connections with improved ductility, see attached video clip of experimental tests. Control of cracking in reinforced concrete structures is a major problem facing practicing engineers. My research is helping to provide improved crack control for reinforced concrete structures, see recent tests shown in Fig. 3. Some of my research is geared towards understanding the vulnerability of buildings to collapse due to vehicle borne improvised explosive devices. I am developing methods for protecting military expeditionary forces from building collapse following detonation of vehicle borne improvised explosive devices, see Fig. 4. I aim to develop a fundamental understanding of structural design principles during my lectures, rather than teaching the application of codes of practice. 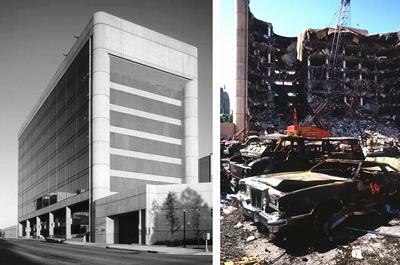 The bombing of the Murrah Building in Oklahoma City killed 167 people. The scale of the disaster was blamed on the use of a transfer girder and the detailing of the steel reinforcement in the concrete beams. My research has proven this conclusion to be wrong by demonstrating that lack of redundancy was to blame. The Murrah Building used open-plan architecture with a fully glazed façade. The lack of a strong internal partition walls and façade left it unable to sustain column damage without failure. My work was published in the same journal as the findings of the Federal Emergency Management Agency investigative team. An assessment tool has been developed to identify multi-storey buildings that offer the highest level of resistance to attack by Vehicle Borne IEDs (car bombs). This tool consolidates the influence of primary blast damage, structural continuity, ductility, and the availability of emergency load paths to provide a simple assessment of strength. The criteria are based upon fundamental principles in progressive collapse resistance. The level to which the building corresponds to each criterion provides an insight as to the level of resilience offered by the structure. This on-going research demonstrates that existing approaches to progressive collapse and blast modelling of steel frames are unsafe. The approach under development overcomes many of the existing problems and allows for the design of safer buildings. The advantages are recognised by DSTL, who are funding Southampton University to develop safer structures (using the new approach) for the British Army to deploy on overseas operations. 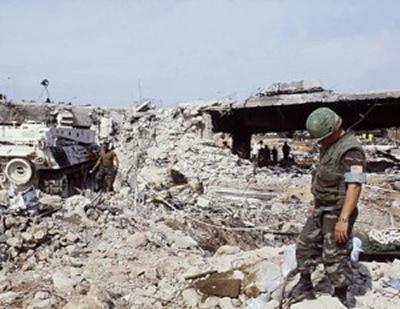 This will help to reduce casualties from car bombs and mortars and will lead to lighter-weight structures. Advice on the strengthening of buildings for military expeditionary structures. Byfield, M., & Sakthivel, P. (2007). Blast loading on concrete framed structures. Concrete, 41(1), 34-35. Byfield, M. P. (2004). Design of steel framed buildings at risk from terrorist attack. The Structural Engineer, 82(22), 31-38. Byfield, M. P. (2002). 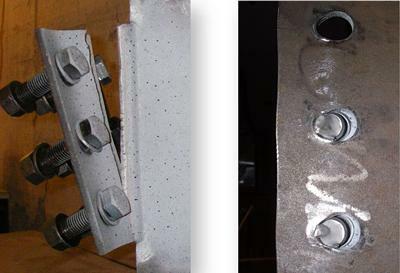 Analysis of composite beams with widely spaced shear connectors. The Structural Engineer, 80(13), 31-33. Byfield, M. P., Kemp, A. R., & Nethercot, D. A. (2002). 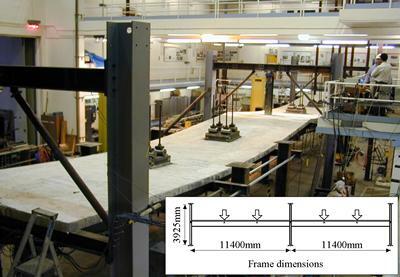 Effect of strain hardening on flexural properties of steel beams. The Structural Engineer, 80(8), 29-34. Byfield, M., & Dhanalakshmi, M. (2002). Strength and ductility of composite connections. The Structural Engineer, 80(13), 18. Nethercot, D. A., & Byfield, M. P. (1997). Calibration of design procedures for steel plate girder design. Advances in Structural Engineering, 1(2), 111-126. Byfield, M. P., & Nethercot, D. A. (1997). Material and geometric properties of structural steel for use in design. The Structural Engineer, 75(21). Byfield, M. P., & Nethercot, D. A. (1995). Correspondence on partial safety factors for reinforcement by professor A.W. Beeby. Structural Engineer, 73(16), 263. Mazzolani, F., Mistakidis, E., Borg, R. P., Byfield, M., De Matteis, G., Dubina, D., ... Wang, Y. (2008). Urban habitat constructions under catastrophic events. Malta: Malta University Publishing. Byfield, M. P. (Ed.) (2007). Urban habitat constructions under catastrophic events : proceedings of workshop. Prague, Czech Republic: Czech Technical University in Prague. Byfield, M. P. (2008). Introduction. Organisational lessons from failure. In Learning from Failures - a Civil Engineering special issue (pp. 3). Institution of Civil Engineers (ICE). Byfield, M. P. (2006). Facts and fiction: the civil engineering graduate shortage. In Steel Construction Yearbook 2006 (pp. 327-328). Ascot, UK: Steel Construction Institute. Byfield, M. P., & Nethercot, D. A. (1995). A new look at partial safety factors. In N. E. Shanmugan, & Y. S. Choo (Eds. ), Structural Steel: PSSC '95 - 4th Pacific Structural Steel Conference (pp. 789-795). Oxford, GB: Pergamon. Byfield, M. P., & Nethercot, D. A. (1995). Can codes of practice be both comprehensive and user-friendly? In N. E. Shanmugan., & Y. S. Choo (Eds. ), Structural Steel: PSSC '95 - 4th Pacific Structural Steel Conference (pp. 29-39). London, GB: Pergamon. Byfield, M. P., De Matteis, G., Mazzolani, F., & Seiler, C. (2009). 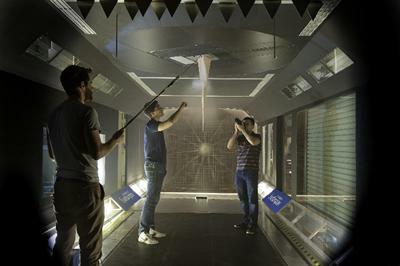 Developments in european impact and explosions related research. Paper presented at 13th International Symposium on Interaction of the Effects of Munitions with Structures (13th ISIEMS), . Byfield, M. P., & Sakthivel, T. (2009). Estimation of safe stand off distances for r.c. framed buildings. Paper presented at 13th International Symposium on Interaction of the Effects of Munitions with Structures (13th ISIEMS), . Byfield, M. P., De Matteis, G., & Mazzolani, F. (2009). Recent developments in blast and impact research in Europe. Paper presented at Protect 2009 Second International Workshop Performance, Protection &Strengthening of Structures under Extreme Loading, . Byfield, M. P. (2008). Crumple zone design for buildings. Paper presented at COST Action TU0601: Robustness of Structures, . Byfield, M. P., & De Matteis, G. (2008). General report on working group 3:impact and explosions. Paper presented at Urban habitat constructions under catastophic events, . Byfield, M. P., & Sakthivel, P. (2008). Protective design of r.c. framed buildings against blast loading through safe standoff distance approach. Paper presented at International Symposium on Urban Habitat Constructions under Catastrophic Events, . Byfield, M. P., & Paramasivam, P. (2007). Feasibility of catenary action for the prevention of disproportionate collapse in steel framed buildings. In R. G. Beale (Ed. ), Steel and Aluminium Structures, ICSAS'07: Proceedings of the Sixth International Conference on Steel and Aluminium Structures Oxford, UK: Oxford Brookes University. Byfield, M. P. (2007). Issues in the mitigation of progressive collapse through the tying force method for steel framed buildings with simple connections. Paper presented at Third International Conference on Steel and Composite Structures, . Byfield, M. P. (2007). Protective design for RC framed structures against blast loading through event control with a case study of the Murrah Buildings. Paper presented at Concrete Communication Symposium, . Byfield, M. P., De Matteis, G., & Dinu, F. (2007). Robust design of steel framed buildings against extreme loading. Paper presented at COST Action C26: Urban Habitat Constructions under Catastrophic Events, . Byfield, M. P., & Paramasivam, S. (2007). The prevention of disproportionate collapse using catenary action. Paper presented at COST Action C26: Urban Habitat Constructions under Catastrophic Events, . Byfield, M. P. (2006). Disproportionate collapse of reinforced concrete structures. Paper presented at Concrete Communication Conference, . Byfield, M. P. (2005). Limitations in the use of composite connections with unpropped construction. In B. Hoffmeister, & O. Hechler (Eds. ), Eurosteel 2005 (pp. 245-252). Druck und Veragshaus. Byfield, M. P. (2005). Prevention of progressive collapses due to terrorist attacks. In Proceedings of 3rd International Conference on Forensic Engineering: Diagnosing Failures and Solving Problems (pp. 233-240). London, UK: Taylor and Francis. Byfield, M. P., & Mawer, R. W. (2002). Analysis of reduced modulus action in steel sheet piles. Paper presented at 3rd European Conference on Steel Structures, . Byfield, M. P., & Crawford, R. J. (2002). Analysis of the bending strength of U-section steel sheet piles crimped in pairs. Paper presented at Advances in Steel Structures (ICASS 02), . Dhanalakshmi, M., Byfield, M. P., & Couchman, G. H. (2002). Composite connections at perimeter locations in unpropped composite floors. Paper presented at Advances in Steel Structures (ICASS 02), . Byfield, M. P., & Dhanalakshmi, M. (2002). Derivation of strain hardening factor from mill tests. Paper presented at Advances in Steel Structures (ICASS 02), . Byfield, M. P. (2001). Reliability of steelwork designed to Eurocode 3. 203-208. Paper presented at IABSE Conference on Safety, Risk and Reliability in Engineering, . Nethercot, D. A., & Byfield, M. P. (1996). Selection of safety factors for use in steel construction. In S. L. Chan, & J. G. Teng (Eds. ), Advances in Steel Structures ICASS '96: Proceedings of International Conference on Advances in Steel Structures held on 11-14 December 1996 in Hong Kong (pp. 35-42). London, GB: Pergamon. Byfield, M. P., & Nethercot, D. A. (1995). An improved method for calculating partial safety factors. In M. Lemaire, J-L. Favre, & A. Mebarki (Eds. ), Applications of Statistics and Probability: Proceedings of the Seventh International Conference, Paris, 10-13 July 1995: Civil Engineering and Risk Analysis (pp. 869-873). Netherlands: Balkema. Some recent student projects I have supervised are shown below.